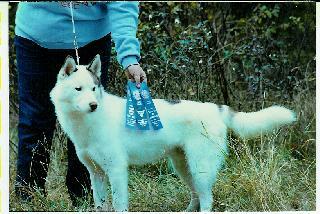 Our first Siberian came to us in 1974. We have been involved in showing, racing, weight pulling and, of course, puppies. 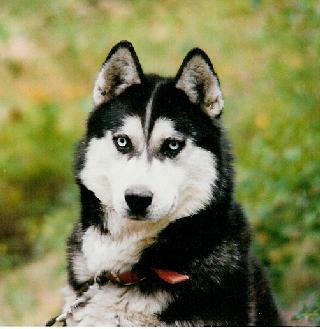 Our primary goal is strong, healthy Siberians, regardless of color. 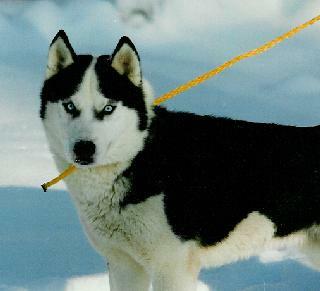 We are no longer raising puppies, only helping unwanted Siberian Huskies. 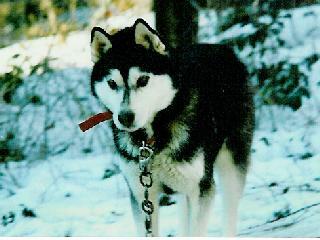 Our rescue work now includes a website, www.ewsr.org Below is a photo history of the Homestead line of Siberian Huskies. 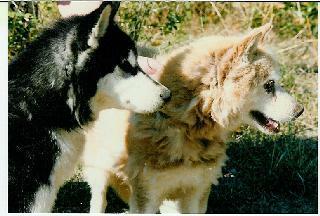 Kagee's Kahlua (Katie) and Kneelo of Flat Creek (Keelo) were the parents of Homestead's Rasputin in 1980. Parents of Kagee's Kahlua were Arctura's Dawn Chief Kamiakin and Dichoda's Noho. Parents of Kneelo of Flat Creek were Pinehill's Dakota and Patty's Duchess of Shenandoa. Juroblyn's Isanyati Hukahay - "Corky"
The best thing to do is to leave us an E-mail message as to what you are looking for. Be sure to include your address and phone number and try to answer some of the questions above.